Papers, including The Guardian, The Express and Yorkshire Post, have today covered a TaxPayers’ Alliance (TPA) report on the future of foreign aid spending. The TPA says in the report that “fresh thinking is required to tackle the orthodoxy that has developed around aid policy” and “every pound must be spent as effectively as possible to protect taxpayers’ interests”. It also calls for further changes to the international aid rules and a shift in spending away from multilaterals and big international NGOs to smaller UK charities. The UK government is already shifting how it spends aid to ensure our investment benefits us all, and is fully aligned with our wider national security and economic priorities, and in the national interest. Reducing poverty, hunger and providing clean water and sanitation is at the heart of what UK aid does, but our investment is also about tackling disease, terrorism and conflict, and creating a safer, healthier and more prosperous world for us all. This is a win for the developing world, but also a win for the UK. The Department for International Development (DFID) is in addition already introducing many of the changes the TPA report is calling for. DFID has played a key role in pushing for changes to the rules around international aid or official development assistance (ODA) set by the OECD’s Development Assistance Committee. Where the UK considers ODA rules – established over 50 years ago - to be outdated, we have led the way in pushing for reforms. For example in October 2017 the UK secured an increase in the proportion of aid spending which can be contributed to peacekeeping missions from 7% to 15%. In October last year, the DAC agreed to a new “reverse graduation” mechanism which means that countries previously too wealthy to qualify for aid could be eligible in future if they meet the right criteria. DFID was a strong driving force for this change after some of the UK’s Overseas Territories were badly hit by hurricanes in autumn 2017, but were not eligible for aid. The UK continues to lead from the front on this agenda and is committed to achieving further progress on ODA reform. Over the weekend, Ms Mordaunt confirmed plans to make it easier for small British charities and humanitarian organisations to access the aid budget. Separately, the UK is also driving reform to the multilateral system to ensure multilaterals are transparent, providing UK taxpayers with the very best value for money. The UK, however, remains deeply committed to supporting the international system and only through collective action can we tackle the big challenges facing the world. 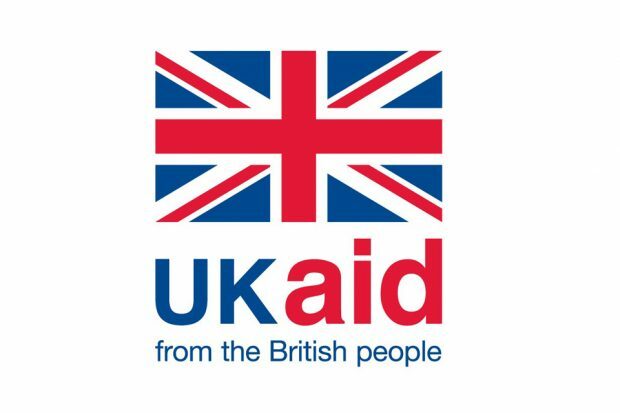 In response to TPA report DFID has issued this statement: “The UK is shifting how it spends aid to ensure our investment benefits us all and is fully aligned with our national interest. “All our work aims to reduce extreme poverty and we are continuing to push for reform to get the most out of the aid budget for the world’s poorest and UK taxpayers. Charities have responded to the TPA report critically. Romilly Greenhill, UK director at the ONE Campaign, praised DFID’s role in delivering aid. She said: “We know that the British public want all aid to be real aid which reaches the world's poorest people. "DFID's international leadership in delivering high-quality aid, which changes lives and enhances our global standing, is something taxpayers can rightly be proud of."